Can you guess the car from looking at the rear end? Hint: do you see anything very unusual in the picture? Bowler? 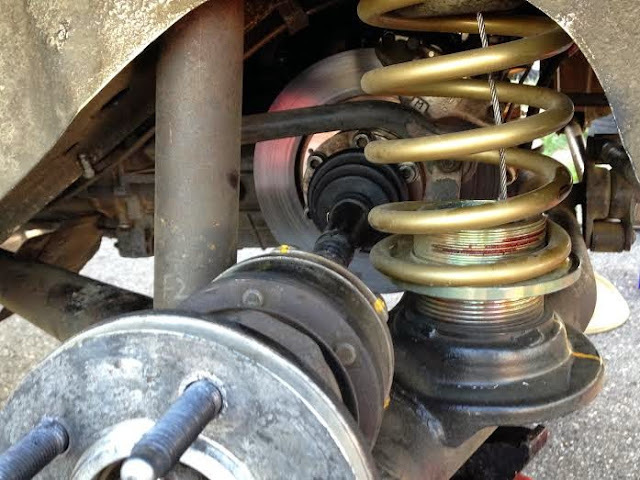 In board brakes, cables holding trailing arms to springs ,defo off roader Paris Dakar?baha? Yours as in I WANT it or you already own it. If the latter, identify where One Hot Lap might have seen it in the past two weeks. I was fairly sure it was an Alfa, the GTV part was a guess.